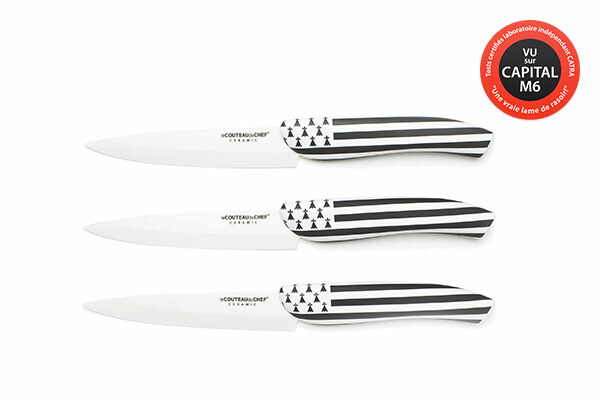 This white ceramic kitchen steak knife set of the Flag series has an innovative and original design. It indeed bears the colours of the Gwenn Ha Du, the famous Brittany flag. 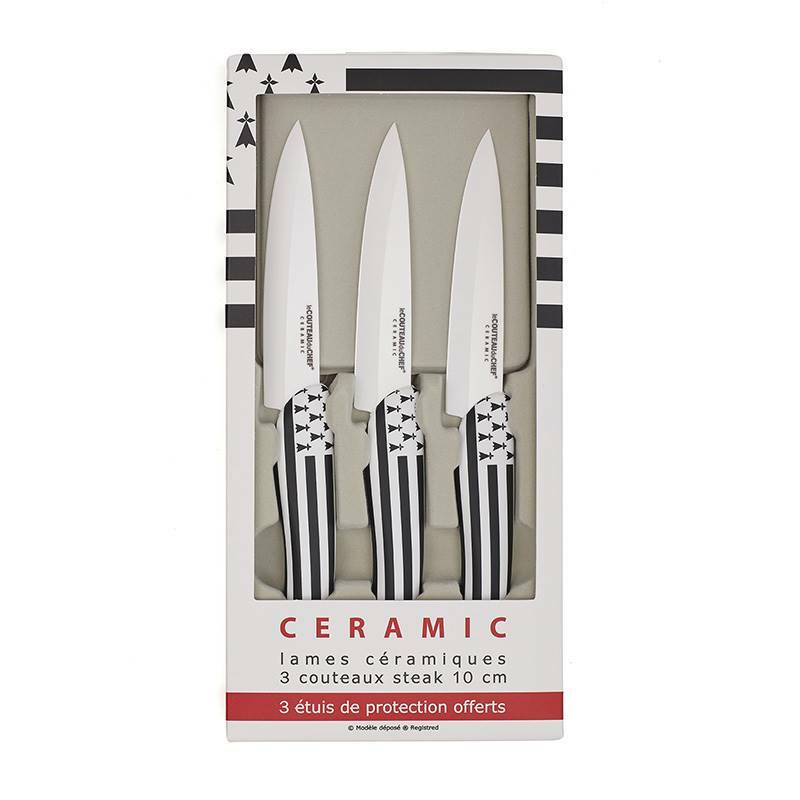 Pleasant to look at, these French design kitchen knives are light, easy to use and offer smashing cutting characteristics. 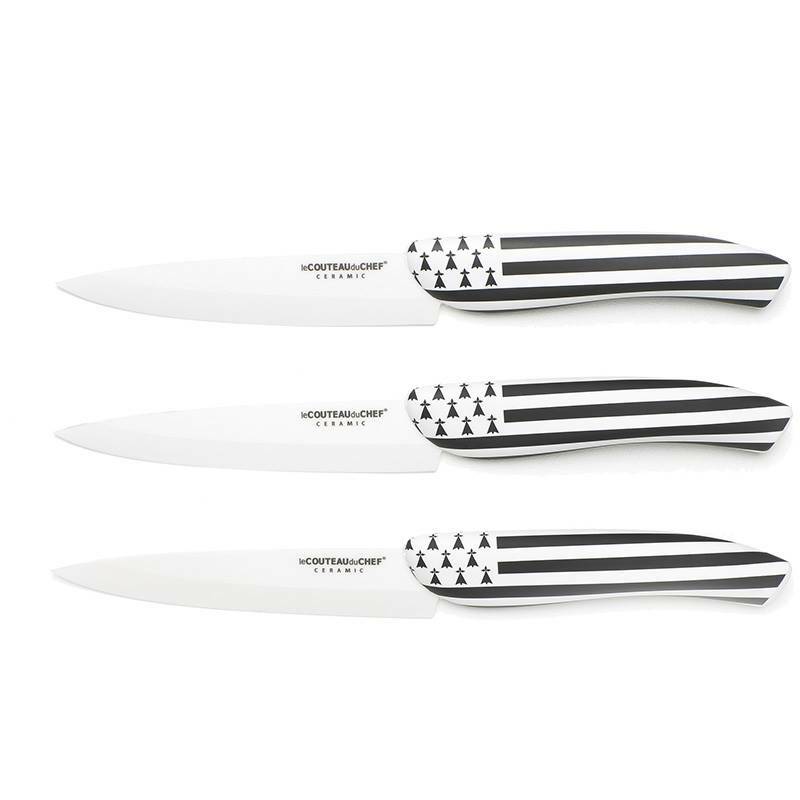 The white ceramic kitchen knives offer an extraordinary sharpness. Their blade almost lasts forever with hardly ever need to be sharpened! 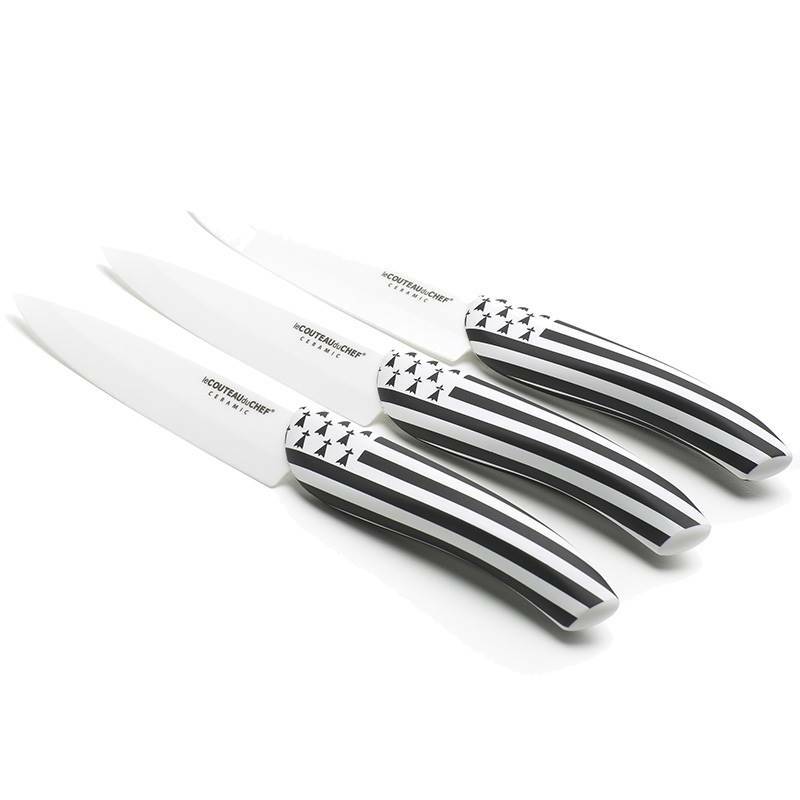 This original design steak knife set can be used on a table or in a kitchen to prepare various dishes. Its main function consists in slicing all sort of meat, whether raw or cooked. 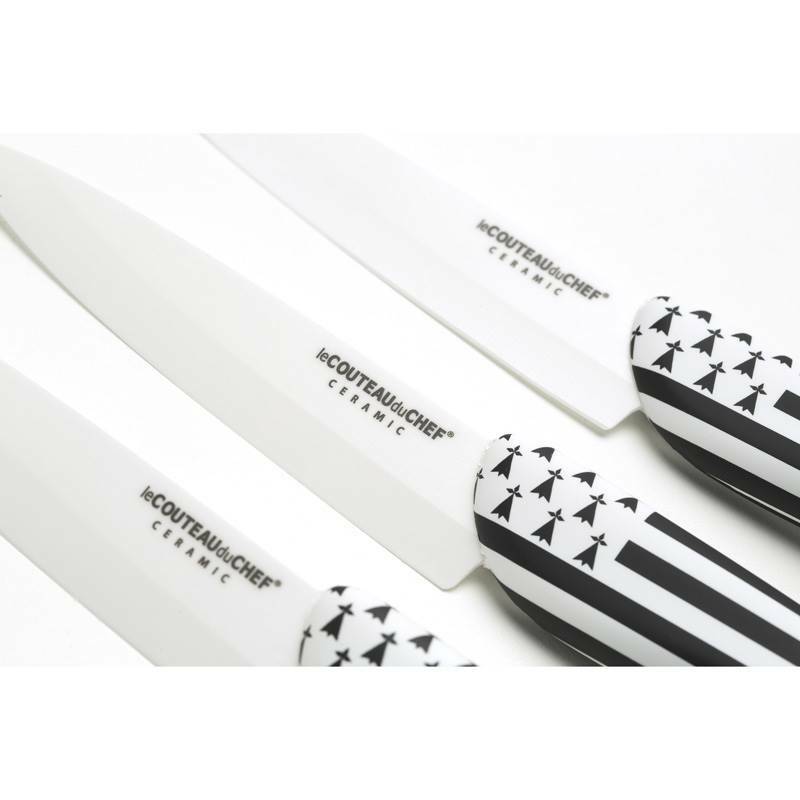 Of impressive efficiency, these high-end tools are equipped with a smooth and straight blade that enables to cut the meat without tearing; as a consequence, the cutting remains neat.